Called to the Capitol, the Four Horseman arrive from MINO. SUGU-MIDARE, O-NOTARE MIDARE, some KIKUSUI. MISHINA BOSHI   Origins: MINO KANEMICHI. Tight Itame Hada with Masame in the Shinogi-Ji. wide, grouped Gunome, Choji, Choji-Midare. Sunagashi. IYESADA KAN-BUN to GEN-ROKU: KIMURASEIBE. From SENDAI. received the 16 Petal Kikumon later. KANEMICHI(1) KEI-AN (f: YOSHIMICHI): Second son. title and moved at that time to OSAKA. He dies KAN-BUN JUNI, 1672 at 75 years. GUNOME-CHOJI BA, O-MIDARE and SUDARE BA. KANEMICHI(2) GEN-ROKU(f: KICHIBE KANEMICHI): KAHEIJI. KANEMICHI(3) SHO-TOKU: Adopted of KAHEIJI. Shinogi-Tsukuri, Ihori-Mune, slight Sori to O-Kissaki. Running, well knit Itame Hada that stands. A strong Mokume in the lower. An easy Notare holds Gunome-Midare through the Mid where many Tobi-yaki repeats and Nie becomes Ara. Chu-width Notare-Komi Boshi with Tsuki-age Kaeri. Ubu rounded Kengyo, almost Kurijiri Nakago has one Mekugi-ana. 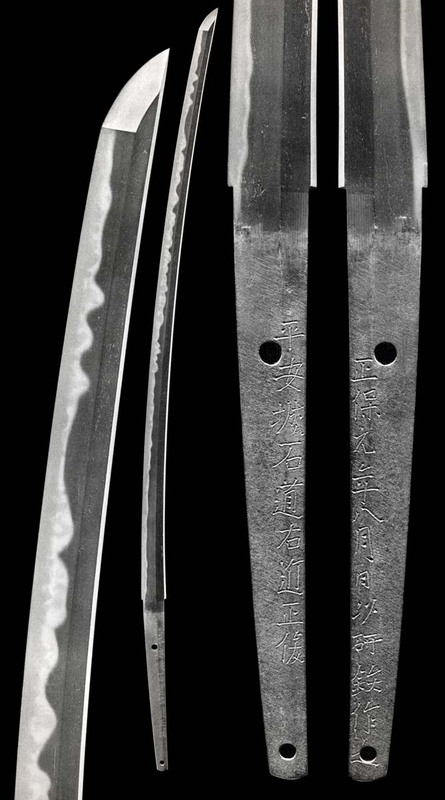 Hira-Tsukuri, Mitsu-Mune, wide blade, shallow Sori. Standing Itame Hada, runs as almost Mokume, and has Ji-Nie and Chikei. Soshu-like O-Midare Ba becomes Sudare Ba with Tobi-yaki, storming Sunagashi, Yo, Ashi and Ara-Nie. Midare-Komi Boshi is Saagari and long-fall Kaeri-naga. Ubu Nakago has his rounded Kengyo, almost Kurijiri and with one Mekugi-ana. Shinogi-Tsukuri, Ihori-Mune, wide blade, very slight Sori and O-Kissaki. Elegant Sugata with BoHi-ni-Sobi running into the upper Nakago. Running Itame Hada and Masame stands strongly. There is Ji-Nie and Chikei. Jigane becomes a very strong O-Itame near Habaki-Moto. Soshu-like O-Midare, O-Gunome into Ko-Notare where Ara-Nie and brushed Sunagashi with Ko-Nie become particularly strong. Shinogi-Tsukuri, Ihori-Mune, gentle Sori to O-Kissaki. Running Itame Hada with Ji-Nie. Hada becomes pronounced in the Moto. Long Asaki-Notare undulations HakoBa and Ko-Gunome Midare Ba in Nioi and Ko-Nie. Sunagashi runs throughout. Sugu Ko-Maru Boshi has Hakikake and long fall Kaeri. Ubu Haagari Kengyo Nakago. One Mekugi-ana. Standing Itame Hada marks a strong blade. Undulating Toran Ba waves Gunome-Midare Ba is cut with streaming Sunagashi and Kinsuji. Machi-Okuri and Suriage Nakago has two Mekugi-ana. Eta Kiku Mon "Branches Kiku"
Shinogi-Tsukuri, Ihori-Mune, strong sword of shallow Sori to O-Kissaki. Standing Itame Hada that is running. Masame in the Shinogi-Ji. Undulating line of Nie Ko-Notare Gunome Ba and Togari is mixed together. Ashi defines while Sunagashi sweeps. 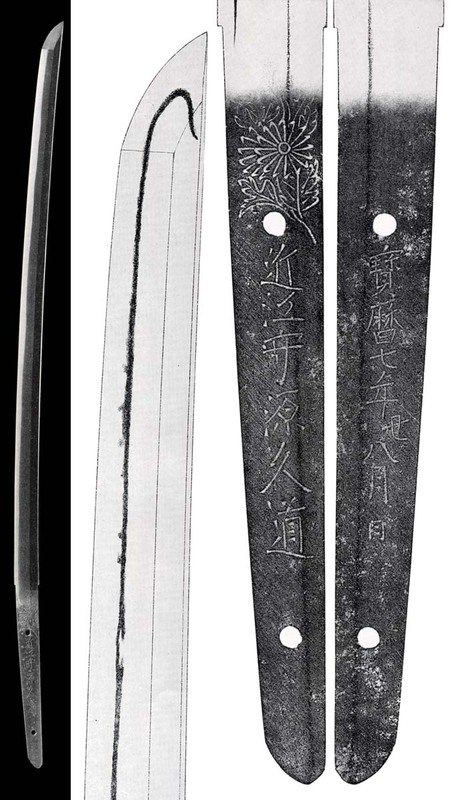 Hira-Tsukuri, Ihori-Mune, wide, thick blade gentle Sori. Omote KoshiHi, Koshi-Hi-no-Sobi on Ura. Itame Hada has thick and profuse Ji-Nie. O-Gunome is pushed together into high-reaching mounds. 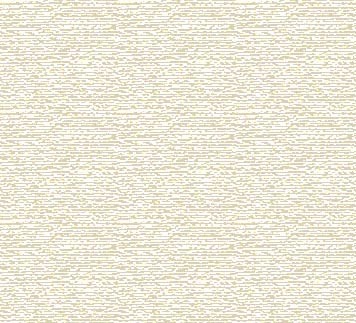 Dynamic Nei-Deki Hamon is brushed with Sunagash. There is much Yo and Kinsuji. Ubu, Kurijiri Nakago has two Mekugi-ana. 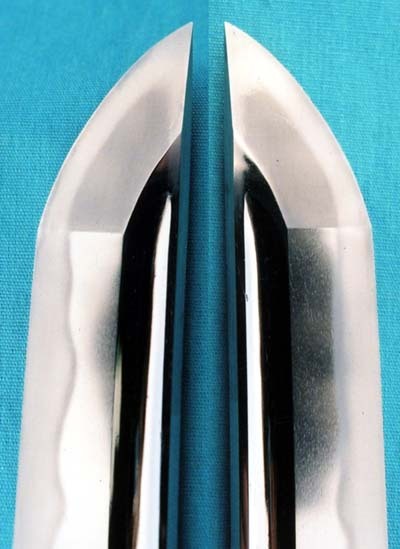 Shinogi-Tsukuri, Ihori-Mune, shallow curve to elongated Chu-Kissaki. Full-length NiSujibi double grooves terminate in Kaku-dome at the Moto. Gunome Ko-Notare has regular Togari on a generally even line. Nioi-guchi is even and with Ko-Nie. There is Sunagashi. Ubu kurijiri Nakago with one Mekugi-ana and his stout Mei. Shinogi-Tsukuri, Ihori-Mune, strongly Sakizori to Chu-Kissaki. Ko-Itame and Masame Hada that runs. The surface is Shirake and has Midare-Utsuri that stands out.. The mid has high-reaching Choji-Midare of Kawazu and Tobi-yaki. The lower is Samishi deserted into a Chu-width Ko-Choji Ba. The whole of clear Nioi-Fukashi and Ko-Nie with much Yo, Ashi and Sunagashi. Sugu Ko-Maru Boshi has Hakikake. Ubu, Haagari Nakakgo has two Mekugi-ana. 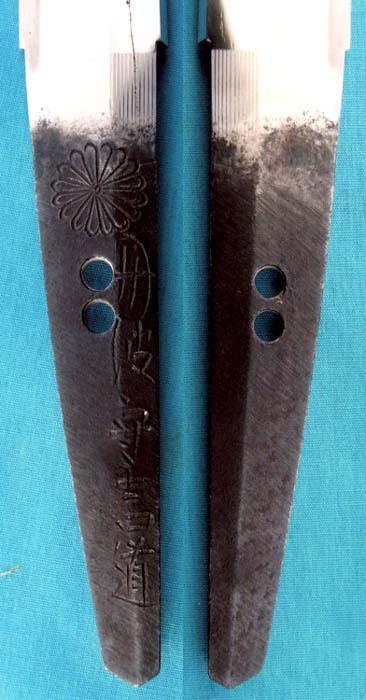 A Shinogi-tsukuri Wakizashi with Bo-hi. 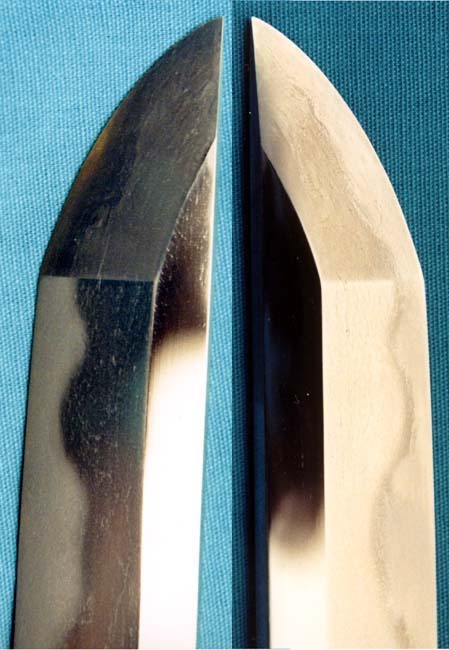 Ji-nie covers Itame Hada that shows Mokume in wet steel. Masa runs along the Ha laminate. An evenly set Ko-Midare Ba has a high degree of Hata-raki where fine Ko-nie and small Kinsuji run in drifts along the Habuchi. Nioi-Ashi fall gently from the line and in very subtle drifting Sunagashi swirls. Boshi is Chu-sugu to Saagari Ko-Maru where fine Hakikake falls from the Saki. Nie alights toward the turnback on the Ura. 3rd Kinmichi - Strong Shinogi-Tsukuri, Ihori-Mune, little Sori, Chu-Kissaki. Standing Ko-Itame Hada with Ji-Nie. Nie-Deki Chu-Suguha of strong Ko-Nie Fukashi in Shirake Nioi that spots of Ashi in the Habuchi and Hotsure pulls a little Niju in the mid. Sugu Boshi with Maru Kaeri..